Christians in the United States and Europe are often discouraged by what they see as a church in decline, with a decreasing number of professing Christians and a shrinking influence in Western culture. But in many parts in the world the church is seeing astounding growth, as we see in this article from Breakpoint. And you’d be correct. The explosion of Christianity south of the Sahara is so great that a colleague of mine is surprised whenever he meets a West African immigrant who’s not a believer. Christianity in China is growing so rapidly that, by one scholar’s estimate, there will be more Christians in China than in any other country by 2035. But there are other, less-known places where the Good News is being heard and received. One of these is Nepal. When Americans think of Nepal— if they ever do— what comes to mind is an exotic blend of the Himalayas, “wind-swept prayer flags,” and temples, lots and lots of Hindu temples, with a few Buddhist stupas thrown in for good measure. Until recently, that would have accurately summed up Nepal’s religious scene. In 1951, Nepal’s census showed no— that would be zero— Christians in the country. Ten years later, it showed just 458. Forty years later, the number had risen to 102,000 and ten years later, in 2011, it had risen to 375,000. What’s more, according to a report by the International Institute for Religious Freedom, Nepalese Christian leaders believe that this last figure underestimates the number of Christians by a factor of six: instead of 375,000 Christians there are closer to 2.3 million. That would put the percentage of Christians at nearly 10 percent and rising, as opposed to the government’s claimed 1.5 percent. While Nepal is officially a secular country, it has an overwhelming Hindu majority that, historically, has tolerated a small Buddhist minority that poses no threat to the country’s Hindu identity. This of course effectively outlaws evangelism. Yet Nepalese are converting to Christianity in large numbers. Part of the reason is that the law is difficult to enforce. A larger part is that Christians have stepped into areas of need that neither the government nor the Hindu majority can or even will serve. As is the case in India, many of the converts to Christianity come from the lower castes. Even though, as in India, discrimination on the basis of caste is illegal, centuries, if not millennia, of custom and practice aren’t reversed by the action of a parliament sitting in the capital. What makes a difference in the lives of these people is other people whose own faith not only rejects the idea of caste but also insists that in ministering to the “least of these,” they are ministering to God himself. In yet another parallel to India, Nepalese Hindu activists aren’t pleased by the results. So much so that they may be willing to manipulate census figures. What’s happening in Nepal is good news, indeed. It’s also a reminder that Islam does not have a monopoly restricting religious freedom, especially when it comes to Christians. Recently, a Lutheran pastor was found murdered in the Indian state of Jharkhand. His death is believed to be a part of a larger pattern of anti-Christian violence by Hindu nationalists. So, in addition to thanking God for the spread of the good news to unlikely places, please keep these vulnerable brethren of ours in prayer. Psalm 22:27-28 — All the ends of the earth will remember and turn to the Lord, and all the families of the nations will bow down before him, for dominion belongs to the Lord and he rules over the nations. Isaiah 45:22 — Turn to me and be saved, all you ends of the earth; for I am God, and there is no other. O God of all the nations of the earth, remember the multitudes who, though created in thine image, they have not known thee, nor the dying of thy Son their Savior Jesus Christ; and grant that by the prayers and labors of thy holy church they may be delivered from all superstition and unbelief and brought to worship thee; through him who thou hast sent to be the resurrection and the life to all men, thy Son, Jesus Christ our Lord. Amen. 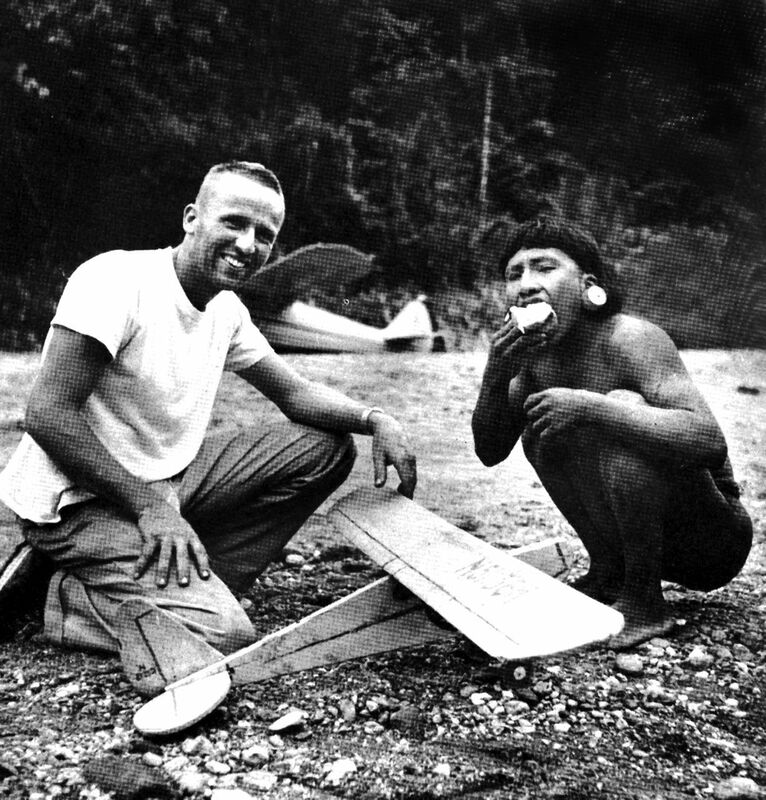 Christian missionary efforts have often been criticized for destroying the unique cultures of indigenous peoples. Old photographs of native people in steamy jungles dressed in black suits and ties for worship do indicate that mistakes were made. However, in many places some cultural practices did need changing, as we can see in this story from the 19th century. H. L Hastings recently related in the Church Missionary Society’s Gleaner that an English earl, who had become an unbeliever and seemed to take particular delight in deriding Christianity and in throwing obstacles in the way of its progress, had occasion to visit the Fiji islands. While there he saw many scenes that gave evidence of an advancing civilization that had the presence of a strong moral force at work, subjugating the evil passions of that once savage and cannibalistic race, and making it possible for civilized people to visit those islands with absolute safety. This radical change in the whole moral, intellectual, and social texture of that people was, of course, the result of the persistent, indefatigable labors of the Christian missionaries. This Christian chief of the Fijians had experienced in his own soul the power of God unto salvation. He knew nothing of metaphysics, or of modern philosophy, or of science, and not much at all of theology. But he did know that once he and his people were steeped in degradation and vice and superstition, and every form of sin and wickedness; that cannibalism had prevailed everywhere upon those islands at one time, and that many missionaries had suffered the most excruciating deaths at their hands. All this he knew. He knew also that the power that transformed him and his people and had made them civilized and Christian men and women, came not from the explorers or merchant, or the warships of civilized nations, but from the power of the Holy Spirit through the preaching of the Gospel of Jesus Christ. These people had realized its truth, and had felt its transforming power, and were now ready to witness to both, and to defend the cause that gave them light and life. —The Spirit of Missions: A Monthly Magazine of Church Missions at Home and Abroad (1899), volume 64, page 336; Published by the Domestic and Foreign Missionary Society of the Protestant Episcopal Church in the USA. English missionary Reverend Thomas Barker (1834-1907), the last known victim of cannibalism in the Fiji islands. Isaiah 42:10 — Sing to the Lord a new song, his praise from the ends of the earth, you who go down to the sea, and all that is in it, you islands, and all who live in them. I Peter 2:9-10 — You are a chosen people, a royal priesthood, a holy nation, God’s special possession, that you may declare the praises of him who called you out of darkness into his wonderful light. Once you were not a people, but now you are the people of God; once you had not received mercy, but now you have received mercy. O God our Savior, who desires that all people should be saved and come to the knowledge of the truth; prosper, we pray, our brethren who labor in distant lands. Protect them in all perils by land and sea, support them in loneliness and in the hour of trial; give them grace to bear faithful witness unto thee, and endue them with a burning zeal and love, that they may turn many to righteousness, and finally obtain a crown of glory; through Jesus Christ our Lord. Amen. Scottish Book of Common Prayer, 1912. (…continued) Two messages from this amazing story. First of all, this is an extraordinary story of forgiveness. Every day the news is dominated by accounts of death and destruction in the Middle East, where centuries old disputes go on and on and on with revenge upon revenge. Without forgiveness, the cycle of violence never ends. The Waorani themselves were disappearing as a people, destroying themselves because they knew nothing of forgiveness. The story of the forgiveness given by these grieving missionary families, and the impact that had on the tribe that inflicted the pain, is an illustration to the whole world of the power of forgiveness. These missionary family members did not seek revenge, but instead still desired to serve the Waorani. In doing so, they gave them tangible proof of the truth and power of the message of the Gospel which they proclaimed. This transformed the entire tribe; changing their beliefs and their whole way of life. This had an impact on those vicious warriors. Not only that, but the attackers learned later that they were lied to by their own tribesman, and that the missionaries had not done anything to provoke the attack. At this point, the Waorani were not yet Christians, and so they promptly killed that member of their tribe that lied to them. But something about how those missionaries died made them receptive, and not violent, when the other missionaries came to stay. They had enough contact with the outside world to know what guns were for and what they could do. They were fearless, and carried on the attack despite the presence of guns. But it startled them that the guns were not used, and they wondered about what kind of men these were that they killed. On one level, there is something crazy about not defending yourself. One might even say it was unloving and uncaring to leave those five wives as widows and those many children fatherless. But in all I’ve read about this story and these families, I’ve never seen any hint of regret. Sadness, of course, but no regrets or second thoughts. As married couples, those missionaries had gone to Ecuador with some eternal goals in mind. Their goal was not just an interesting and exciting and long life here, but they had in mind doing something that would make an eternal difference in the lives of those to whom they would bring the message of Jesus. They could have fired their guns that day, and they could have saved their own lives. And they could have no doubt ended the lives of Mincaye and the others with him. But then those Waroani would have been dead and lost, and it would have been a long time before any other outsider could have gotten close. But by willingly giving up their lives, those men opened up that entire tribe to the message of Jesus; and in the last 60 years, their sacrifice has led to the salvation of thousands of the Waorani. In addition to that, tens of thousands of people around the world have been influenced and inspired by this story. The story is well known among missionaries, and it is said to have inspired a whole generation of new missionaries in the 1960’s and 70’s, and yet today. Only in heaven will the effects of that sacrifice be fully known. Jim Elliot, one of the five men who were killed, prayed for six years for the salvation of the Waorani, and all that while, it was impossible for him to even get close to them. And then, he was killed the very first time he did make contact. But it was then, even though he was dead, that his prayers began to be answered! Elliot knew the risks involved in his work, and he knew he could be killed by these dangerous people. But he wanted the Waorani to learn about Jesus. Acknowledging the possibility that he could lose his life, he once wrote: “He is not fool who gives what he cannot keep to gain what he cannot lose.” This life cannot be kept anyway. Our eternal salvation cannot be lost by dying here. Jim Elliot needed to obey the call of God on his life. We may not have the same calling as Jim Elliot and those he died with, but we have that same promise, and can have that same eternal perspective on life and that same hope. Elisabeth Elliot was the wife of Jim Elliot. She was one of the women who went back to live with and serve the Waoroni. She is the one who took her five year old daughter along into the jungle. After leaving the Waorani, she was the one that told this story to the world in two books; Beyond the Gates of Splendor, and The Savage, My Kinsman. Elisabeth Elliot died June 15th at the age of 88. The Bible teaches the faith and inspires faith in many ways– sometimes by proclaiming promises, sometimes by teaching theological truths, and sometimes by telling us how we ought to live. But the main way the Bible teaches and inspires faith is simply by telling stories of the lives of faithful people– Abraham, Sarah, Moses, Noah, Daniel, David, Mary, Joseph, John, Peter, Paul, and so many more. And we can teach the faith and inspire faith by telling more stories of faithful people– people like Nathan Saint and Jim and Elisabeth Elliot and even Mincaye, the former murderer. Genesis 50:19-20 — Joseph said to them, “Don’t be afraid. Am I in the place of God? You intended to harm me, but God intended it for good to accomplish what is now being done, the saving of many lives. John 15:12-13 — (Jesus said), “My command is this: Love each other as I have loved you. Greater love has no one than this: to lay down one’s life for one’s friends. Loving Lord and Heavenly Father I offer up today all that I am, all that I have, all that I do, and all that I suffer, to be Yours today and Yours forever. Give me grace, Lord, to do all that I know of Your holy will. Purify my heart, sanctify my thinking, correct my desires. Teach me, in all of today’s work and trouble and joy, to respond with honest praise, simple trust, and instant obedience, that my life may be in truth a living sacrifice, by the power of Your Holy Spirit and in the name of Your Son Jesus Christ, my Master and my all. Amen. Anthropologists have called the Waorani tribe of Ecuador one of the most violent groups of people ever discovered. A magazine article one time called them ‘the worst people on earth.’ This tribe, which only recently began to emerge from the stone age, was on the verge of extinction in the 1950’s. About half of all Waorani tribe members that reached adulthood died at the hands of other Waoranis. 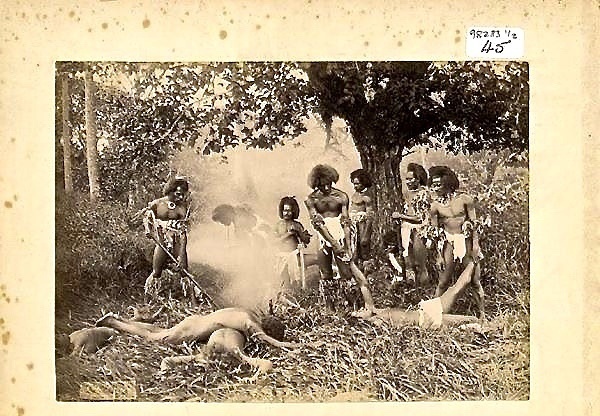 If you were a Waorani, it was almost certain that you had a close family member who had been speared to death by other Waorani. They had only the most primitive tribal government, and disputes were not handled by courts or even by chiefs. Rather, if someone felt wronged they would simply kill the other person. If the family of the murdered man or woman felt the killing was unjustified, they would seek revenge by killing the killer, and the cycle of revenge would continue. To do anything but seek revenge was to show yourself to be weak. Sometimes, these individual killings would erupt into attacks by entire villages on other villages. This tribe was so remote and so feared that they were seldom approached by outsiders. They were far from any control by the government authorities, who were simply allowing them to kill each other off. By the mid-1950’s there were only a few hundred living members. And then, in 1956 some missionaries risked their lives to contact these murderous people. The Waorani, like almost every people on earth, had a belief in God, but they did not know much about God. The missionaries told the Waorani that God had a son named Jesus who visited our world; and Jesus told people that God did not want them killing each other, and so it was wrong for the Waorani to do so. Eventually, the Waorani believed the missionaries and they obeyed what Jesus said, and, they quit killing each other. And now, there are about two or three thousand Waorani, six times as many as in the 1950’s. Sometimes, a Waorani will kill another Waorani, just like sometimes a Minnesotan will kill another Minnesotan. But it is rare there, as it is here. And on Sunday morning in Ecuador, just like here, many of the Waorani are in church, hearing the Word of God, and praying to Jesus. Missionaries not only risked their lives to reach these people, but several died in the effort. The first five missionaries who made contact with this tribe in their own territory were killed the very first day they made contact. These five men were in their 20’s and 30’s, and all were married and had children. They had been dropping gifts by plane, and had reason to believe it was safe to land. They did land on a sand bar on the river near one of the villages, and the initial contact was friendly. Then something went wrong. One of the tribesmen that had been with the missionaries on the sand bar, ran back and told the rest of the men of the village some lies about what had happened. Then, the men of the village ran to the river, attacked, and killed all five men. Days later, soldiers went in to recover the bodies. The story was featured in Life magazine. One would think that would be the end of the story. One would think everyone would certainly leave the Waorani to themselves now, allowing them to continue to kill each other. But this was only the beginning of one of the most amazing stories in the history of Christian missions. Not long after the deaths of their husbands, some of the missionary wives began talking about how they might still reach these people. They were, after all, missionaries, and they were there to tell these people about Jesus. And who needed to hear more about the love of Jesus than the Waorani? And who could better show them the power of forgiveness better than the wives of the men that had just been killed? Of course it was dangerous, but they did not think that the tribesmen would kill unarmed women and children. So some of the wives and children and other family members went up the river to contact, and then, to live with the Waorani. Nathan Saint on the sand bar where he was killed later that same day. Romans 5:8-10 — God demonstrates his own love for us in this: While we were still sinners, Christ died for us. Since we have now been justified by his blood, how much more shall we be saved from God’s wrath through him! For if, while we were God’s enemies, we were reconciled to him through the death of his Son, how much more, having been reconciled, shall we be saved through his life! 2 Peter 3:9 — The Lord is not slow in keeping his promise, as some understand slowness. Instead he is patient with you, not wanting anyone to perish, but everyone to come to repentance. Psalm 33:8 — Let all the earth fear the Lord; let all the people of the world revere him. I seek not a long life, but a full one, like you Lord Jesus. (…continued) Thirty years ago, the congregation I was serving sent money to help in the construction of a church building for a congregation in the African nation of Cameroon. Two years later, I met Adamou, the pastor of that congregation, who was then doing graduate work for three years at Luther Seminary in St. Paul, Minnesota. He spoke at my church a few times and we became good friends. He then went back to Africa to teach in a seminary and we lost touch. Twenty years after that, he was again in Minnesota. He called me, and we got together and renewed our friendship. Adamou is from a remote village in the middle of Africa. His father, Monga, was the village chief, and was raised in the traditional tribal religion of his ancestors. Monga converted to Islam in 1920, and the whole village was converted with him. That often happens in Africa, where such decisions are made as a community. 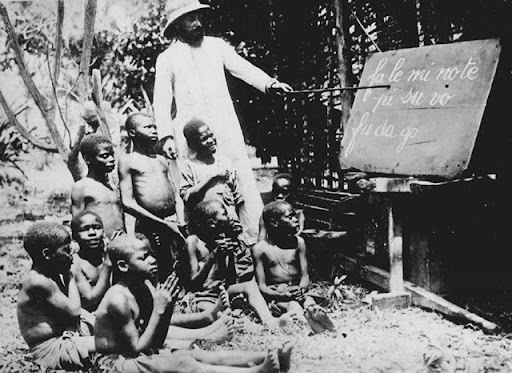 In the area of the jungle where Adamou lived there were 35 villages, but only one village had a public school. Education is not a government priority there like it is here. However, there were Lutheran mission schools in all 35 villages, schools financed and staffed by Lutheran missionaries. Parents, eager for their children to receive an education, would send them to these Lutheran schools. Muslim children were welcome, but it was made clear that the children would hear stories from the Bible. Adamou started school when he was six, and he loved to learn. He especially loved the Bible stories. His favorite story was the story of Abraham’s great-grandson Joseph. At first he loved those stories like school children love stories of Daniel Boone or Laura Ingalls Wilder; as interesting stories of other times and places, but without religious significance. He, like his father, was a faithful Muslim, praying five times a day, and fasting at all the proper times. But when he was 14 years old, Adamou heard something that would change his life. What he heard was John 3:16: “For God so loved the world that he gave his only begotten son, that whosoever believes in him shall not perish but have eternal life.” This promise of eternal life had a profound impact on Adamou. Life was hard in his primitive village, and death was always a threat. Six of his eleven brothers and sisters died in childhood, and he wanted to know more about this assurance of eternal life in Jesus. There was no such assurance in his Muslim faith, in which he had to just do his best and then accept his fate from Allah. There was no assurance of going to heaven. Adamou already knew and loved the Bible’s stories, but now he read the Bible for faith and assurance. Eventually, he came to believe in Jesus as his Savior. But now what could he do? His father was the chief of the village and a Muslim, and there was not one other Christian in the whole village. For several weeks, Adamou said nothing about his new faith, and continued in his daily prayers to Allah. He finally decided he could no longer pray to Allah, so he ended his prayers and all other the religious duties and practices of Islam. His father saw this, and called him in for a talk. The old chief, old enough to be Adamou’s grandfather, did all the talking. “Son,” he said, “I see you are no longer praying to Allah. I know you are going to that Christian school, but I do not see you praying to or worshiping in that way either. Be careful, son. No one should live without God.” That was all he said, and Adamou took that as permission to become a Christian. The next Sunday he walked ten miles to go to worship at a Lutheran missionary church in another village. Muslims and Christians live together peacefully in his area, and his conversion was accepted without any trouble. Many other conversions soon followed. Later on that same year Chief Monga died, and Adamou’s older brother became chief. A few years later, that brother died, and now Adamou is the chief of his village. He is also a respected member of the council of chiefs, and a good friend of the Muslim king of the entire Bamoon tribe, a tribe of over a million people. Adamou’s work as a pastor and seminary professor means that he must live in the big city, but he often returns to his village for his duties as chief. 45 years ago when he became a Christian, he was the only one in his village. Now, his village is 75% Christian. That is the kind of church growth that has been happening throughout Africa. The Genesis 12 blessing upon Abraham continues to reach around the world. Abraham, and then his descendants, were “blessed, so that they could be a blessing.” All over the world, in places far from the land that was promised to Abraham, his family of ‘spiritual descendants’ continues to grow. Galatians 3:26-29 — So in Christ Jesus you are all children of God through faith, for all of you who were baptized into Christ have clothed yourselves with Christ. There is neither Jew nor Gentile, neither slave nor free, nor is there male and female, for you are all one in Christ Jesus. If you belong to Christ, then you are Abraham’s descendants, and heirs according to the promise. This prayer is for Africa. And all the African lands. That bring beauty and abundance to Africa. Food and water for their nourishment. And still the guns of war. And heal your continent of Africa. Of all those who are wounded in any way. On the parched ground of your beloved Africa. Amen. Genesis 12:1-3…6 — The Lord had said to Abram, “Go from your country, your people and your father’s household to the land I will show you. I will make you into a great nation, and I will bless you; I will make your name great, and you will be a blessing. I will bless those who bless you, and whoever curses you I will curse; and all peoples on earth will be blessed through you….” Abram believed the Lord, and he credited it to him as righteousness. Romans 4:16 — Therefore, the promise comes by faith, so that it may be by grace and may be guaranteed to all Abraham’s offspring– not only to those who are of the law but also to those who have the faith of Abraham. He is the father of us all. Romans 4:23-24 — The words “it was credited to him” were written not for him alone, but also for us, to whom God will credit righteousness– for us who believe in him who raised Jesus our Lord from the dead. Three of the five great religions of the world trace their ancestry back to this man Abraham and the call of God to him in Genesis 12. Judaism, Christianity, and Islam all believe in one God, the God who called Abraham to leave his country and his people and his father’s household and go to a new land. After that, there are many significant differences between those religions, the most important having to do with what each says about Jesus Christ, “The way, and the truth, and the life” (John 14:6). 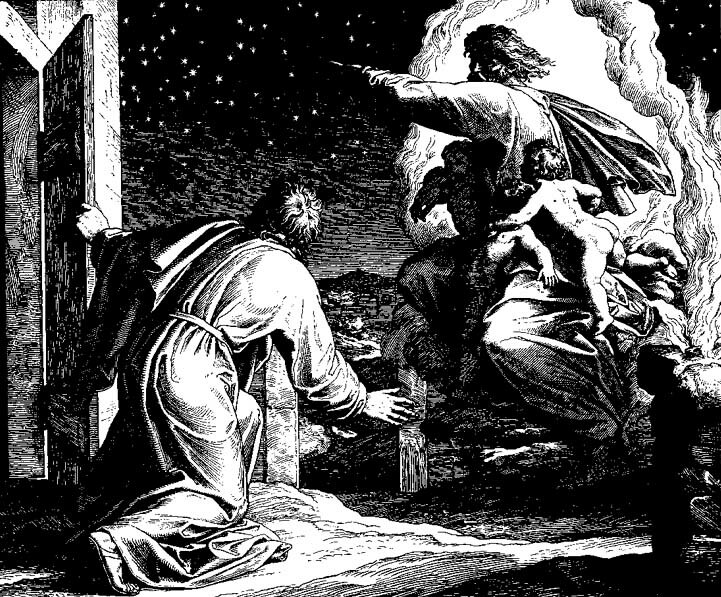 But all three start here, with this story, and the one God, who calls the one man, Abram. I cannot here even begin to deal with this whole story and all it means. And, I will not get into the question of who has the divine right to the land. That, after all, is more of a Jewish and Muslim concern. Christians are not very interested in that, because we read the story of Abraham through the lens of the New Testament. Paul said in Galatians 3:29, “If you belong to Christ, then you are Abraham’s descendant,” and, “those who have faith are the children of Abraham and are blessed along with him.” The descendants of Abraham are now spiritual descendants and not by nationality, said Paul (himself a Jew). And Jesus himself renewed and revised the promise made to Abraham. In Genesis 12:3 God said to Abraham, “All the peoples on the earth will be blessed through you.” In Matthew 28 Jesus said to his disciples, “Go therefore and make disciples of all nations, baptizing them in the name of the Father and of the Son and of the Holy Spirit, and I will be with you always, to the very end to the age.” Christians aren’t as interested in deciding the short term questions on the inheritance of these property rights in the Holy Land. We are more interested in Jesus and his promise of the inheritance of eternal life in heaven for all who hear and believe the Gospel. There is a clear progression in the call of God to Abraham in Genesis 12. It begins with a specific call of God to one man to leave his homeland and move to a new place. Then the Lord begins talking about blessing other people– first, a whole nation that would descend from Abraham, and then, how that blessing would be extended to the whole world. Even way back then it seems to be about much more than property rights. This is not only a call to a new land, but primarily a call to a new faith– faith in a promise that Christians believe was fulfilled Jesus Christ. Merciful Father, your kindness caused the light of the Gospel to shine among us. Extend your mercy now, we pray, to all the people of the world who do not have hope in Jesus Christ, that your salvation may be made known to them also and that all hearts would turn to you; through Jesus Christ, your Son our Lord. Amen. Even while the West turns its back on the faith, Christianity is growing by leaps and bounds. For two decades they served in places like Syria, Lebanon, Egypt and Tunisia. But when they returned to Carol’s hometown of Murfreesboro, they found that their mission field had come to them. The town even had a mosque. So they went to work telling local Muslims about Jesus, and ‘Scenic Drive Baptist Church’ became ‘Arabic Baptist Church,’ a place where Arab Christians and non-Arab Christians can worship together. In every sense that matters, Scenic Drive Baptist did “make it.” It just did so in a way that suited the moment we are living in. This includes the Islamic world. In a recent “Breakpoint This Week” broadcast, my colleague John Stonestreet spoke with David Garrison and Paul Filidis about the upcoming “30 Days of Prayer for the Muslim World,” which starts on June 18. Garrison traveled more 250,000 miles around the Islamic world chronicling what is probably the most under-reported important story of our time: waves of Muslims converting to Christianity. In fact, Garrison estimates that these 70 “movements” represent more than 80 percent of all such movements in Islam’s 1,400-year history. As he put it, Muslims all over the world “are falling on their knees, finding that this is the living God who has come into the world— God with us, God among us— who is bringing them salvation that they were never able to find” in Islam. The “30 Days of Prayer,” which coincides with the Muslim holy month of Ramadan, is one way we can participate in this great work of God. Lord Jesus, you are the Way, the Truth, and the Life. Without the Way, there is no going. Without the Truth, there is no knowing. Without the Life, there is no living. You are the Way which we must follow, the Truth which we must believe, the Life for which we must hope. Lord Jesus, may all come to know you as the Way and the Truth and the Life. Amen. 777) Does the Money Really Get There? I wish I had a dollar for every time I heard someone say they didn’t like giving money to overseas missions, because, “How do we know the money gets there?” Here’s how I know. When I was a child in Sunday School, our mission offerings went to the African nation of Madagascar. Kids today have heard about Madagascar because there have been some really funny animated movies made about it; you know, the one with the I Like to Move It, Move It song. But I remember Madagascar because there was always a big map in my early Sunday school rooms, and the island nation of Madagascar was highlighted. 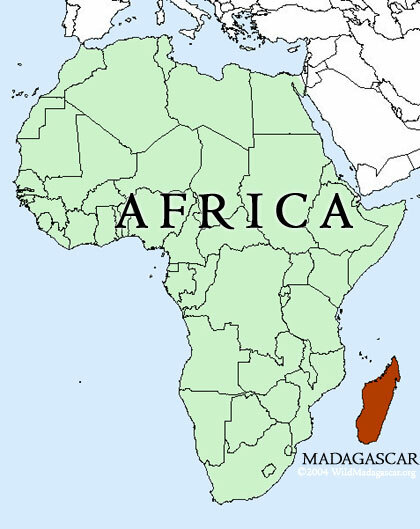 I could find Madagascar on a map before I knew where Wisconsin was located. Each week we would bring our nickels and dimes and quarters for the Sunday School offering, and our teachers would tell us how those offerings went to help the poor children of Madagascar. It was for food to feed them, for missionaries to tell them about Jesus, and for teachers and books so those children could go to school. I was inspired by that, and it felt good about being a part of something big like that way over on the other side of the world. Fast forward four decades. I’m not five years old any more, but in the second part of this story I am forty-five. I was at a missions conference, and one of the speakers was a pastor from Madagascar. His speech was about the tremendous growth of the church in Madagascar over the last several years. He told about how missionaries and teachers from the United States came to Madagascar with the Gospel of Jesus, and how there are now thousands of churches and millions of Christians in that small nation. This man was about my age, so I was very interested in his message. I talked to him later in the conference. I told him about our Sunday School’s focus on Madagascar missions all those years ago, and how we especially heard about the Christian schools there. He said he went to one of those schools and that was where he heard about Jesus. He described how happy he was to be freed from his old tribal religion that was filled with fear and hopelessness. His whole tribe was converted, and because of that, and the many other changes brought by the missionaries, life is much better in his village. It was a joy to talk to him, and to realize that when I was a child in Minnesota, faithfully bringing my Sunday School offerings, he was a child in Madagascar learning about Jesus because of those offerings And now, back in the United States, our church conference was being blessed by his powerful story and teaching. I think this is at least a part of what Jesus meant when in Matthew chapter six when he talked about storing up for ourselves treasures not on earth, but in heaven. What better treasure could there be than a life made better here on earth, and a soul in heaven forever? Bruce Olson was born in Minneapolis in 1942. He grew up in the Lutheran church and learned in Sunday School how much Jesus loved him, that Jesus died for him on the cross, and, how important it was for him to believe in Jesus. He also learned that God wanted everybody in the whole world to know about Jesus. He decided that he would do his part to make that happen by becoming a missionary. 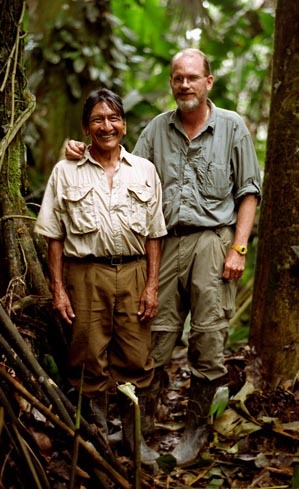 He had heard about the fierce Motilone tribe in the jungles of Columbia and Venezuela that had not yet been reached by anyone, so he chose to go to them. If you want to become a missionary, the first thing you should do is go to a school that specializes in preparing people for the mission field. Or, you might go to any college to get some education; and then, at the same time, be in touch with a mission agency about applying with their organization to receive sponsorship, salary, training, and a base to work from. 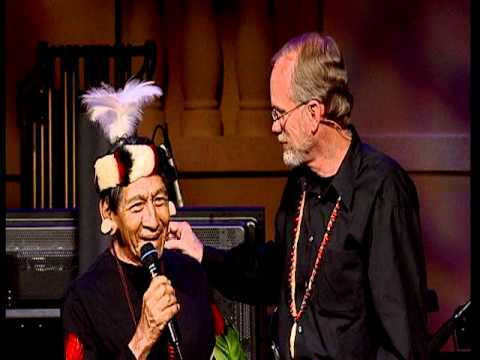 The mission agencies then would have their own procedures which would include language training, cross-cultural awareness courses, education about the nation and the tribe to which you will be sent, necessary medical precautions and preparations, and so forth. The mission organization will also help you with all the paperwork and red tape involved in going to do long-term work in another country. Preparing to be a missionary can take a long time and require a lot of work. But Bruce Olson was an energetic 19-year old and anxious to get going. So he decided to bypass all of the preliminaries. He did, at first, apply at a few mission agencies, but they rejected him as unfit for service. So, he decided he would just get a plane ticket to Columbia, South America, arrange for passage on a commercial steam-boat upstream as far as he could go, and then paddle by canoe the rest of the way to get to the Motilones. This tribe had quite a reputation in Columbia. Up to that time (1961) they had killed every white person who had ever set foot in their territory. Bruce Olson knew that, but still was determined to go to them. He had no training, no experience, no sponsorship, no money, and he did not speak the language. He would just go to them, live with them, and see what happened. His Norwegian Lutheran parents in Minneapolis were not pleased with this decision, but what can you tell a 19 year old? He felt God was calling him to the Motilones, so off he went. Olson almost died even before he got to his destination. With no organization to help him prepare medically for the trip, he came down with a very serious illness on the river. This happened not long after he took off on his own. He kept going as long as he could, but after a few days, he was too sick to move. He set up camp on the river bank and just laid there, waiting to either get well or die. Olson was found by some men from the tribe that he had gone out to find. Had he been healthy when they found him, they would have immediately put a spear through his heart. But fierce as they were, this tribe was too proud to kill an animal or an enemy that was sick. They would have just left an animal, but they did not want to leave a man who might get well and make trouble for them. So they carried him back to their village, fully intending to nurse him back to health; and then they would kill him. It is a long story, but by the time Olson got well, the people in the tribe had grown fond of him. They were intrigued by this fair skinned man and by some of the fascinating gadgets that he had brought along. They could see that he meant them no harm. So the Motilones let Bruce Olson live there, and called him Bruchko. He stayed with them for most of his life. He works with them still, though he no longer lives with them full-time as he did for over 50 years. Bruchko went to the Motilones to tell them about Jesus, and almost all of the people of that tribe are now Christians. They have churches and schools and hospitals. Many of their children are now university graduates, and they don’t kill white people anymore. Most of them have remained in their jungle homeland, but they have undergone a tremendous transformation. Oh God, you have created me to do for you some definite service; you have committed to me some work to do which you have not committed to another. I have my mission. You have created me a link in a chain, a connection between people. You have not created me for nothing. May I do the work you have given me to do and do it well. Amen. For the last several generations, missionaries have gotten a lot of bad press. They’re called cultural imperialists or tools of colonial oppression, and in the pages of books such as The Poisonwood Bible, or, for an earlier generation, James Michener’s Hawaii, they’re presented as paternalistic, ignorant enemies of glorious indigenous cultures. Even many supporters of so-called “native missionaries” in Asia, Africa, and Latin America suggest that Western missionaries should just “stay home” and “let the nationals do it.” But a funny thing happened on the way to missionary irrelevance: Ground-breaking, peer-reviewed research reveals that the presence of Protestant missionaries is the greatest predictor of whether a nation develops into a stable representative democracy with robust levels of literacy, political freedom, and women’s rights. Yes, you heard that right, and you can read all about it in the painstaking work of Robert Woodberry, whose work on the global spread of democracy has turned scholarship on its head. Woodberry discovered that you can trace a direct link between the presence of 19th century Protestant missionaries and a country’s economic and social development. Areas where Protestant missionaries had a significant presence in the past are on average more economically developed today, with comparatively better health, lower infant mortality, lower corruption, greater literacy, higher educational attainment (especially for women), and more robust membership in nongovernmental associations. And these aren’t just any missionaries, but the ones labeled as “conversionist”—that is, those who call others to faith in Jesus Christ—in other words, the very ones who have been decried for so long as cultural imperialists. Loving Jesus and the people to whom they were sent, they fought injustice, stood with the local people, planted seeds of political freedom and economic growth around the world. The work of Robert Woodberry is changing a lot of minds. It’s also a powerful reminder that when a people’s worldview changes toward the Kingdom of God, so does their life, for the better. Hillary Clinton said it takes a village to raise a child. Well, to change a culture, maybe all it takes is a missionary. Based on: Christianity Today, January 8, 2014, The Surprising Discovery About Those Colonialist, Proselytizing Missionaries, by Andrea Palpant Dilley. If the Gospel is just the way of understanding religion which is meaningful for me, which helps me and comforts just me, then I have no right to interfere with others who have their own versions of reality, their own ways to such peace and security as men can hope for. But the Gospel is the TRUTH, and therefore, it is true for all people. It is the unveiling of the face of Him who made all things, from whom every person comes, and to whom every person goes. It is the revealing of the meaning of human history, of the origin and destiny of all people. Jesus is not only my Savior, He is the Lord of all things, the cause and cornerstone of the universe. If I believe that, then to bear witness to that is the very stuff of existence. If I think I can keep it to myself, then I do not in any real sense believe it. Foreign missions are not an extra; they are the acid test of whether or not the Church believes the Gospel. A missionary is a person who leaves their family for a while, so others can be with their families forever. O almighty God, we ask You to guide and bless all who have gone forth to preach the gospel. Endow them with the gifts of generosity and concern. Send your Holy Spirit on them, that He may strengthen them in weakness, comfort them in trials and direct their efforts. May He open the hearts of their hearers to receive Your message. Let Your revelation enlighten all minds for the salvation of souls, and let Your love heal every heart and body for the happiness of each person. May all people consciously acknowledge You and serve You by living the teachings of Your Son. We ask this through Christ our Lord. Amen.